Macs Adventure have spent time exploring Iceland to bring you the best possible hiking tours of this fascinating country. 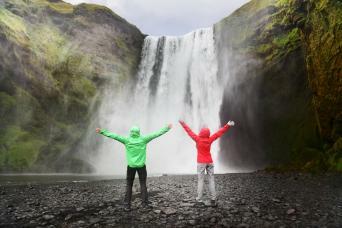 We offer our favourite Iceland walking tours and our drive and hike trips are also a great way to see the country. 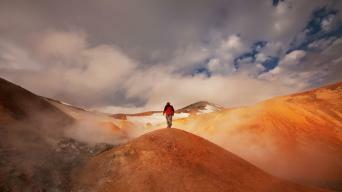 Discover the other-worldly 'Land of Fire and Ice' with its myriad of natural wonders. Explore on foot on a small group or with a self-guided drive and hike tour. Our small group tours of the dramatic Laugavegur Highlands, you will be accompanied by an expert guide who offers a wealth of local knowledge, including insights into the fascinating geology of Iceland. Alternatively, if you prefer a bit more freedom, drive and hike tours are the perfect way to explore at your own pace, with plenty of time to get out on foot and experience Iceland at it's best! 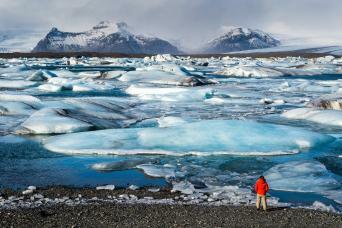 Our most popular tour is our 7 night Iceland's Scenic South Coast, which takes in many of Iceland's highlights. However, if you have more time, we also offer longer tours exploring the East Fjords, the north of the island and the Snaefellsnes Peninsula in the west of the island. Travel 360° around the ‘land of fire and ice’ by car and on foot, ticking off this amazing country’s must-see highlights!. Explore Iceland’s dramatic south coast on an action-packed drive and hike tour starting and finishing in the capital city of Reykjavik. 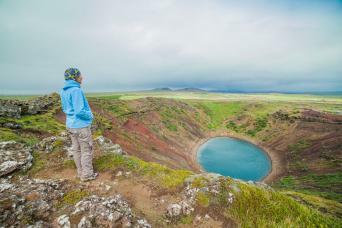 Drive Iceland’s scenic Ring Road 1, starting from the capital of Reykjavik, exploring the picturesque south coast and through the east fjords to Lake Myvatn on the north coast. Explore the dramatic south coast and rugged east fjords of Iceland on a drive and hike tour starting in Reykjavik and finishing in Seydisfjordur on the east coast. 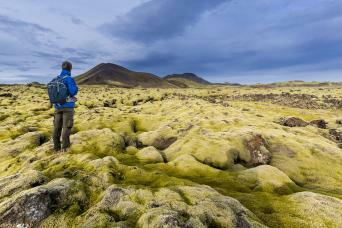 Discover Iceland’s other-worldly volcanic features when you walk the country’s most iconic trail. Your expert Icelandic guide will bring the geothermal landscape to life with their fascinating insights as to the geology and culture of the Land of Fire and Ice.